The Mandolinquents are back to start off the month of May and this time around they are joined by Steve Tilston. Steve is known for being a folk guitarist and song writer and has gained an illustrious career that doesn’t show any signs of stopping. Cirque VV join us on the 10th and bring the first British production fully performed in the visual vernacular. The show aims to create high standards of theatre for deaf audiences with their inclusion of BSL, physical theatre and comedy clowning. 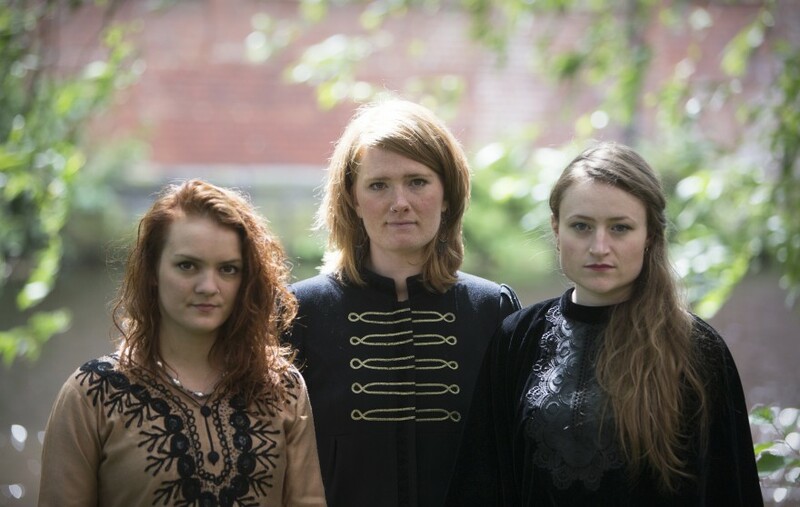 Lady Maisery showcase their undeniable talent as singers and musicians on the 11th. Following the release of their new album Cycle, the band are touring their work to bring their take on traditional folk music to their fans. As part of Newbury Spring Festival here at Arlington we have Alec Dankworth performing. Alec in an award winning jazz Bassist and composer known for his stage presence, versatility and energy. Alec will be performing with one of the groups he leads World Spirit. Tickets for this event are available through the Corn Exchange. Oye Santana plays a fitting tribute to Carlos Santana with his fiery passion. Oye Santana work meticulously to bring you the original arrangements for the true Santana sound. Emily Smith and Jamie McClennan are bringing their mix of traditional Scottish songs with folk and Americana on the 20th. Having been together for over a decade, the pair have learned how their sounds and influences can meld into the successful music career they have enjoyed. STUFF is our second theatre show of the month, but this time with a surprising twist. The show combines comedy, clowning, mine and a bit of dance to create the absurdist piece focused on love. The non-verbal performances tells of love and human connection, with inspiration coming from interviews with the public. As a later entry into the season we have Eric Gales joining us yet another blues legend to grace our stage. With the release of his new album Middle of the Road, Gales has never been freer as an artist with his biographic songs taking his listeners on a journey alongside him. Tickets and their prices are available on our website www.arlingtonarts.co.uk or you can call or Box Office on 01635 244246. For access or disabled tickets please call our Box Office. Tickets for the Newbury Spring Festival events are arranged by the Corn Exchange Newbury. You can find their website at www.cornexchangenew.com or you can call their Box Office at 0845 5218 218.